The modern Darwin close coupled flush to wall pan & cistern with soft close seat from Premier, inspired by the latest European designers. Manufactured from high quality vitreous china with a quality high gloss finish, this contemporary stylish range of bathroom sanitary ware with its modern curves and clean neat design will surely enhance the look of your bathroom. Toilet is back to wall, designed to be flush against your wall creating a neat finish. 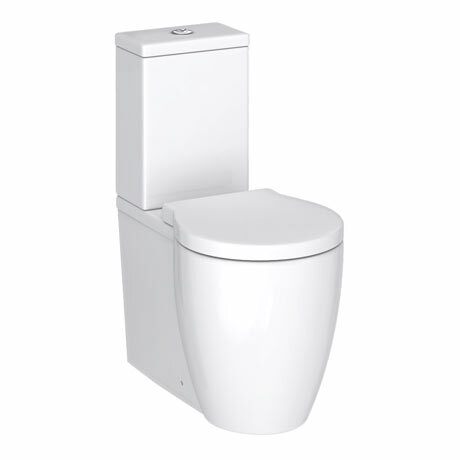 Supplied with a dual flush cistern and a high grade urea soft close seat. Comes with 5 year guarantee.